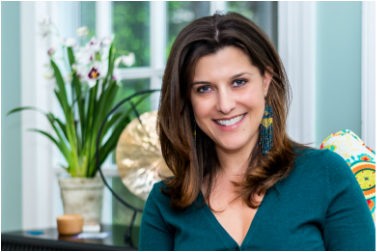 Kerry serves as the Chief Operating Officer for Actualize Consulting in which she spear headed and runs a successful wellness program. In addition to wellness and leadership articles and her latest book Culture Infusion - 9 Principles to Creating and Maintaining a Thriving Organizational Culture, Kerry has authored “Audrey’s Journey” a children’s book series focused on living with compassion and joy. "Pile of Smile Activity Book" to give away free while the children undergo treatment and the Award Winning If It Does Not Grow Say No to teach kids about having fun with nutrition. Kerry has completed the Spirit Junkie Masterclass Level One Training with Gabrielle Bernstein. She is a 500 RYT with 200 hour under Rolf Gates and 300 hour under Beloved Yoga. She also holds a certification in children's yoga from Radiant Child Yoga. Kerry received her B.S. in Finance and Marketing with Minor in Psychology from Virginia Tech and earned her MBA in Information Systems from the University of Phoenix. Read more on her personal story. Watch Kerry's video on the intention behind Zendoway.